Refusing to be an enemy is simple, profound, and anybody can do it. It is looking the other person in the face. It is listening. It is the conscious decision to open your eyes, your ears, and your heart. It is the serious intention to see the other person as human, and not a stereotype. But is comes with the responsibility we owe to every person, to stand on the side of tolerance. When tolerance is violated–by individuals, by groups, and by nations–we must call it for what it is: bullying. The world can't afford us to be bystanders in the face of oppression and hate. Born in Berlin, Germany, Irene Butter grew up as a Jewish child in Nazi-occupied Europe. A survivor of two concentration camps she came to the US in 1945. Irene has spoken to thousands of students from America to Europe, and has delivered hundreds of presentations. 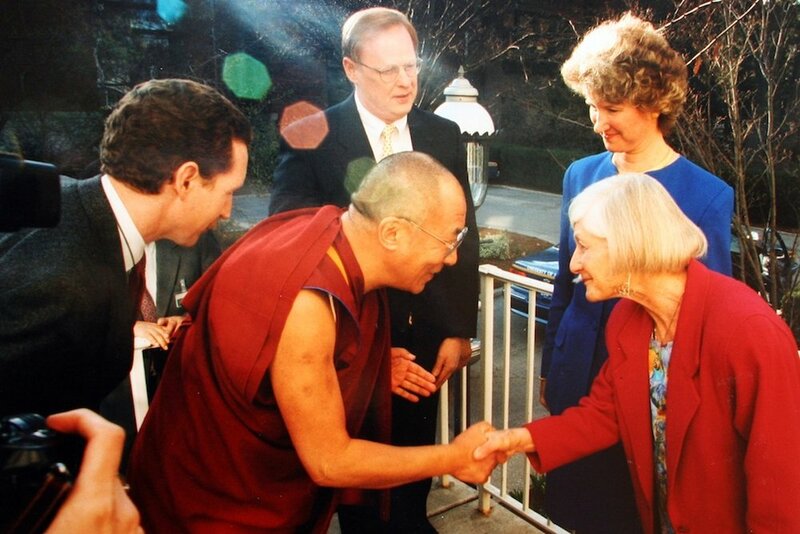 Her peace work has been widely recognized.